The Tregenna Suite is every bit as refined as its name would suggest. Beach lovers are spoilt for choice, the family-favourite beach at Marazion is just 10 minutes and the white sandy beaches of Porthcurno and Sennen Cove are within a 20 minute drive. A beautiful apartment situated on the first floor of a 16th century grade II listed manor house which has been converted into exclusive apartments within the extensive grounds of Kenegie Manor Holiday Park. Just two miles inland from the coastline at Penzance, it is a convenient gateway for exploring West Cornwall and its many attractions. 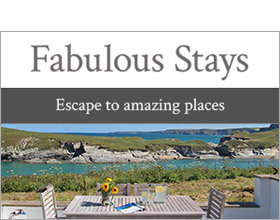 A visit to St Ives or Land's End along the scenic coast road; a day trip to the Isles of Scilly, a production at the famous open-air Minack Theatre or browsing the art galleries and sampling a delicious cream tea in the charismatic fishing village of Mousehole are just some of the opportunities for guests. There is the added benefit of unlimited use on a range of on-site facilities, provided by a local holiday firm. Between March and October guests have unlimited use of an indoor heated swimming pool, sauna, tennis courts, children's play area and Club House with a licensed bar subject to variable opening times. The apartment is presented to a high standard throughout, combining quality furnishings and modern appliances together with original features visible in the spacious proportions, high ceilings, large picture windows and exposed granite. The open plan living room has views over a communal landscaped garden and the master en-suite is tastefully presented with smart wood furniture, deep pile carpets, quality bed linens, coordinating drapes and fluffy bathrobes. The twin bedroom is equally as comfortable and elegant with furniture painted in a matt ivory finish, subtle artwork and pretty bed linens. There is also an immaculate bathroom with modern facilities. Parking in large communal car park. All first floor. Two bedrooms: 1 x king-size double with en-suite shower room with shower, basin and WC, 1 x twin. Bathroom with shower over, basin and WC. Kitchen. Sitting room with dining area. Shared use of swimming pool February – October. Note: Swimming pool and on site facilities available February – October.